I am in love with this. I love smore stuff not sure why but i am drawn to it like a bug to a zapper! Love how you put this together course i love all your creations! Cute and fun. Love the PK face. 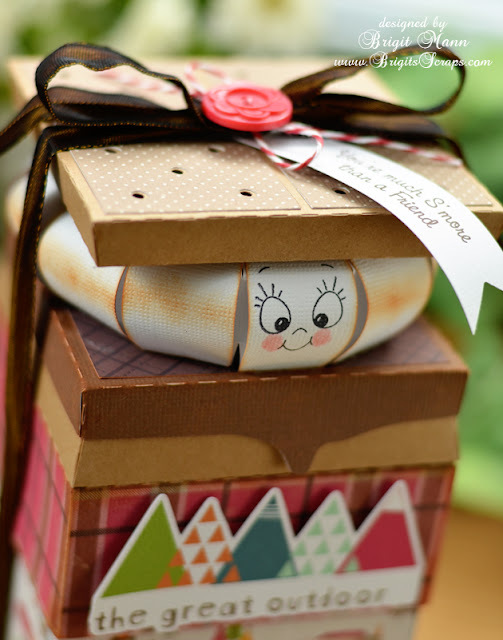 OMGosh Bridget this box is so cute and looks so yummy!! 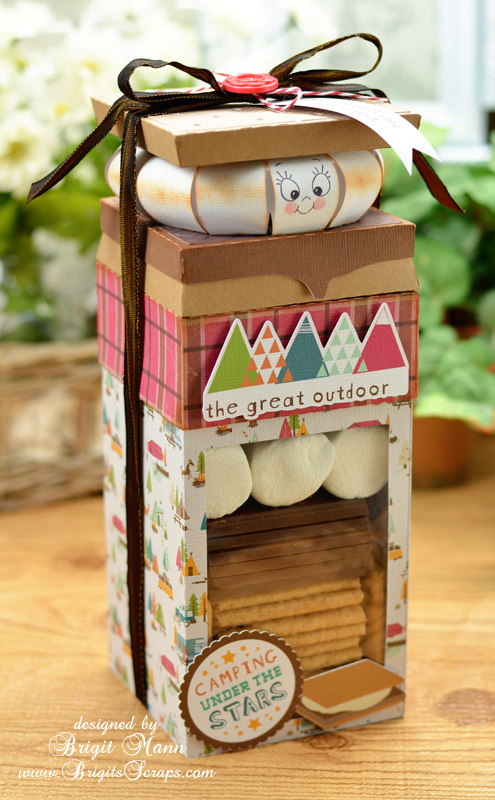 LOL Although I'm not a big fan of smores, too sweet for me, it sure looks good, love the cute PK face on your little marshmallow! And I love how everything looks in the box! Too cute my friend! Do you use a Cameo?? Thank you so much everyone, I love s'mores so, Hi Brenda, yes I use my Cameo, love that machine does awesome print and cuts! Oh my goodness!!!!!! This is ADORABLE!!!!!!!!!!! This is AWESOME!! I LOVE it! Thanks so much for joining us for the Jaded Blossom Monthly Challenge! so ooooo flippen CUTE !!! my fav part of summer is the smores LOL !!! I just made a smore project but cant post it for a few days..... but had to taste test them last night ! LOL !!! awesome job thanks for linking up !!! WOW, this looks Amazing Brigit, Love this. Thanks for joining our Jaded Blossom Challenge this month. So awesome! Thanks for playing along in the Jaded Blossom Challenge! This is absolutely amazing! 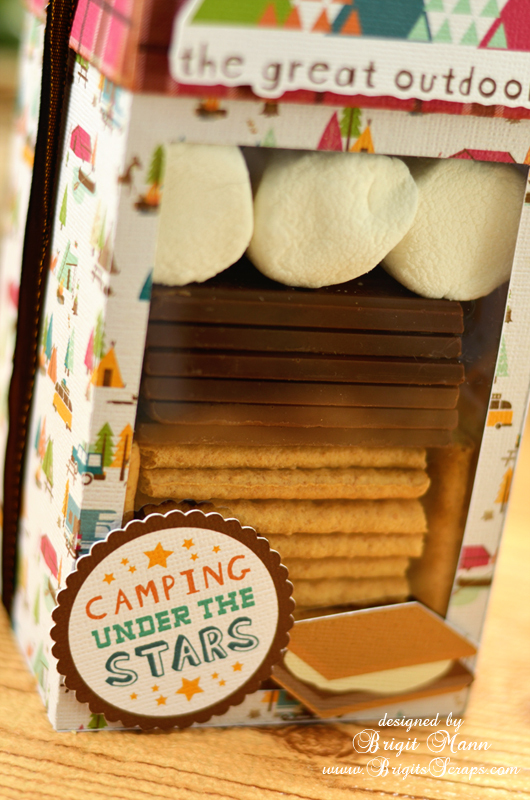 I love this idea.. not to mention I LOVE S'MORES! Thanks for joining us in the Jaded Blossom Monthly Challenge! Hi Brigit! Just wanted to stop by and thank you for linking up this gorgeous project over at Paper Issues! It put a big smile on my face and I just had to share it with our readers. It's beyond adorable!